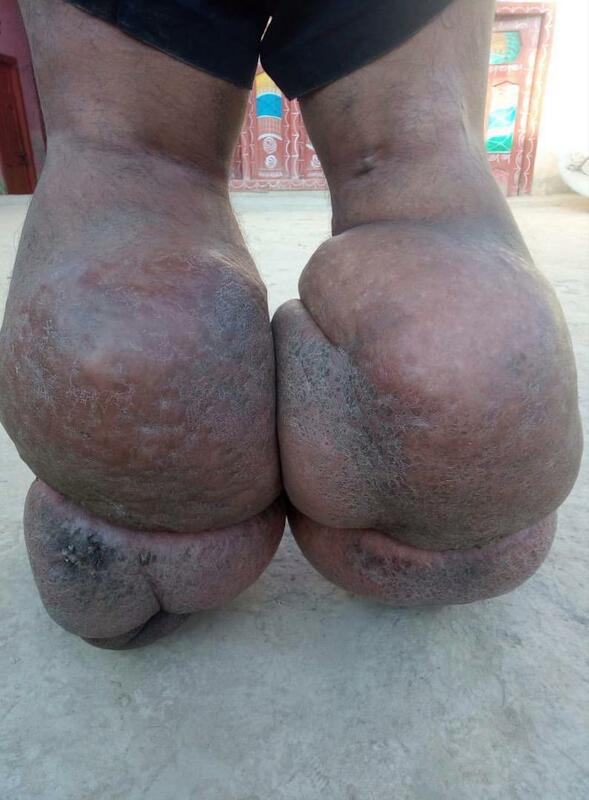 A man is reportedly tuning into stone after some parasitic worms caused his legs to swell to an unbelievable size. A dad is slowly turning to stone after a rare condition has caused his legs to swell to twice their normal size. 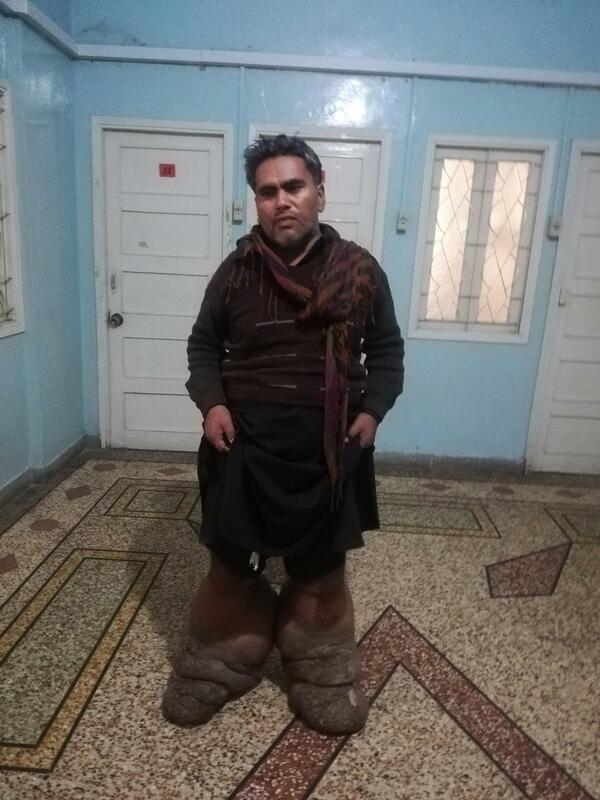 Shahid Hussain, 38, suffers from elephantiasis - a painful parasitic infection that's made his limbs grow abnormally large. It's left him virtually bedridden, with his legs alone weighing more than 7st 8lbs. 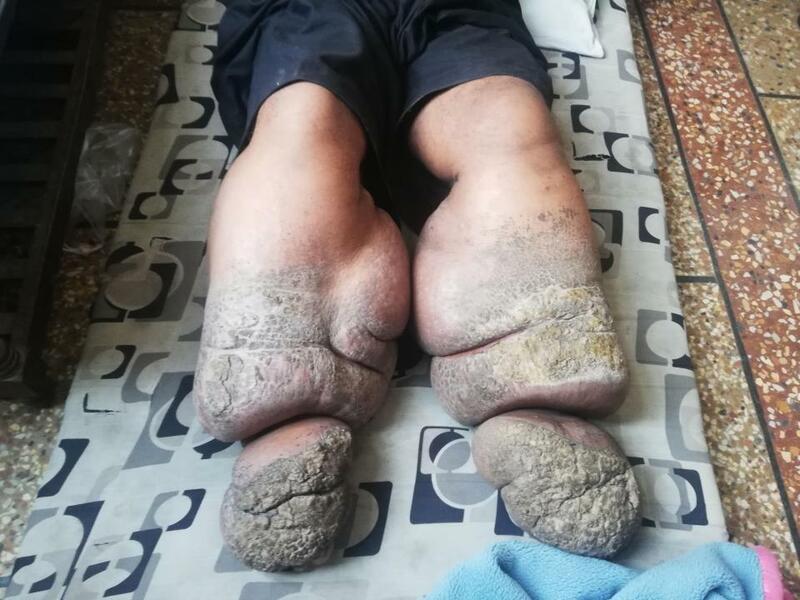 The father-of-five, from Pakistan, said: "I was living my life quite normally but five years ago my legs started swelling. "Initially, I thought everything will be fine but now the disease has left me virtually bedridden and I can hardly walk. "I never imagined that my condition will be like this - I will be literally paralysed." Shahid was working at a car garage to support his family but since he's been unable to work, they're all having to rely on the charity of other family members. His wife Fatima said that all of their savings have been spent - including the money they had saved for their daughters' weddings. "I sold my jewellery as well and we are dependent on our relatives now," she said. "We don't understand what to do." Shahid's family took him to several doctors in Karachi but they were unable to offer any help - telling him that he'd be better off heading to a bigger hospital in the capital Islamabad instead. Due to their financial situation, however, there's no way that Shahid can make that happen. Fatima added: "Doctors told us we should go to Pakistan Institute of Medical Sciences in Islamabad for a surgery but we can't afford the treatment there. "We didn't even have money to travel to Karachi, so how can we go to Islamabad which is a costly city and we don't know anyone there who can help us? "We are hopeful that people take notice of Shahid's condition and come forward for our help."